A meeting in the Town Hall on Wednesday 12th September at 7pm has been arranged to get together everybody who has offered to help. Please come along if you are able to help in any way, even if you didn’t respond to the initial questionnaire. The more help there is in an emergency, the easier it can be dealt with and you will be most welcome. A list of trees has been drawn up by Hillside Farm Nurseries and has been approved by the Council. If you are interested in purchasing a tree for planting in Banks Park, please contact me. A planting map for 9 trees has also been drawn up. It is intended to have a mix of suitable trees so it will be a case first come first to choose type and place. However, if you wish to have a specific tree, please contact me and we’ll try to accommodate it. As mentioned before, an information board made with the type of tree, who donated it and why will also part of the scheme so the cost of the tree will include, planting and an amount towards the cost of the board. That way there’ll be a permanent record of each tree planted. You may be aware that Wellingborough Borough Council is changing to a Town Council. They are conducting a Governance Review and have set out proposals to change its boundaries, including the boundary with Finedon and they are running a consultation until 23 October 2018. Local residents, organisations, businesses and charities are being asked to comment on these draft proposals. You can comment by following the link and completing the survey. A hard copy of the consultation is in Finedon Library, displayed for the benefit of the residents of Finedon. 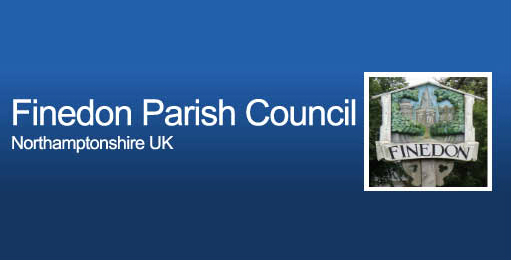 Finedon Parish Council will be discussing the matter at their next meeting on 5th September 2018, at theTown Hall from 7.00 pm when Council will be happy to listen to your views. I have been advised that there is a consultation period underway with regard to closing the Finedon Health Centre. There is a small notice on the Health Centre advising of the consultation period and right at the bottom of their website under “News”. The practice is asking for your views on this proposal before the decision is made. To have your say, please ask our reception staff for a survey or you can complete the survey online by visiting www.surveymonkey.co.uk/r/3JXBDS8. The Parish Council is meeting with Peter Bone MP about this. wish to bring to the Council’s attention. Providing it is within the Council’s remit, we will try our best to make Finedon a better place to live. Meetings are held n the Town Hall, Finedon at 7.00 pm.